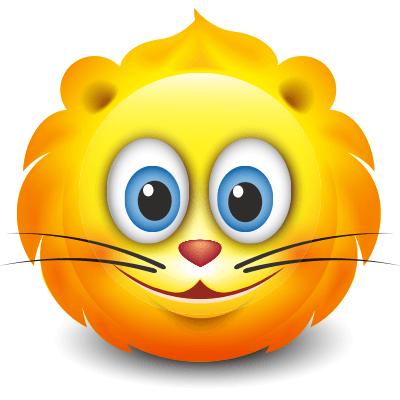 Show off your feline flair with this lion smiley. The lion is an image of strength and bravery. This one is sure to charm your friends. Add it to a comment section of a friend's post or share it on your own timeline. It's ideal to use in your messages and it's completely free to share like all of our smileys.